I was pondering the chemistry of stale bread the other day when I decided to see what science I could find on it. This excellent article popped up. A fresh-baked loaf of bread is one of life’s great pleasures. The soft interior is open and airy, each bite yielding with just a touch of resistance. The exterior is all crust, a crisp and crackly delight contrasting in both texture and flavor. This balance is fleeting, though. Straight from the oven it’s at its best, but with every minute that passes, that loaf moves one step further toward crouton, hard-tack, and hockey puck. Why must nature be so cruel? Why does all bread go stale? It’s tempting to believe that stale bread is simply dry bread and that efforts to keep it moist can stave off this sad fate. The real culprit, though, is a subtle chemical change that alters the food’s structure on a molecular level. 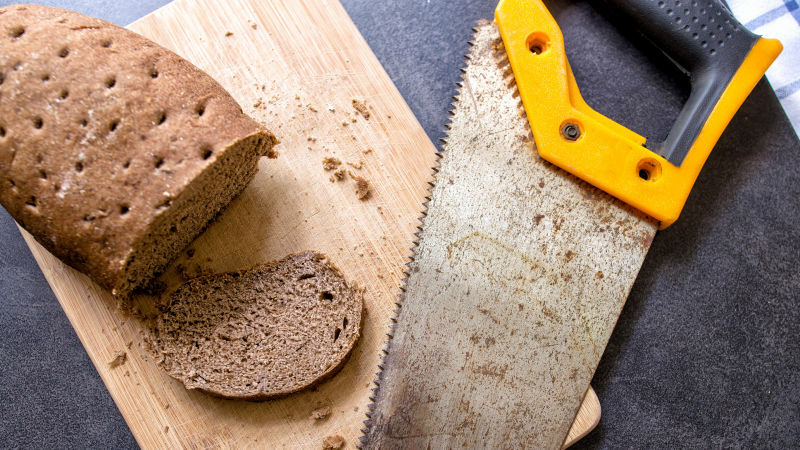 This process—called starch retrogradation—turns bread’s texture leathery and gritty, and it makes the loaf taste dry (whether the moisture has really evaporated or not). Though this can’t be stopped completely, it can sometimes be slowed or reversed. Let’s look a little deeper. 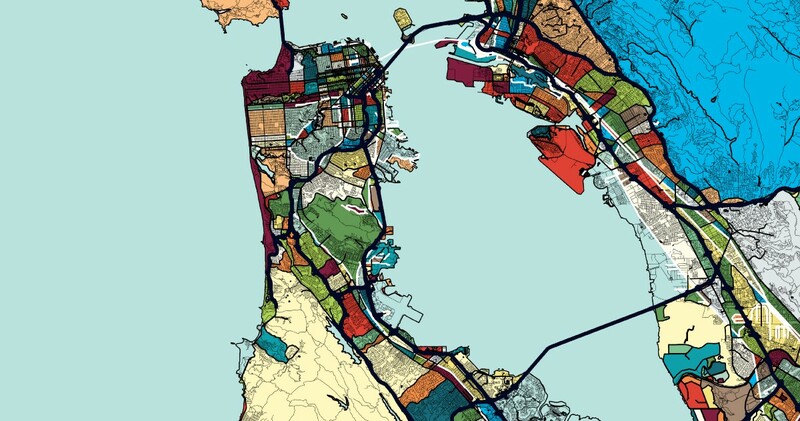 Interesting commentary on Silicon Valley. I was there for a week earlier this winter and it’s kind of a weird place with a touch of Disneyland-like detachment. I am privileged to live in Silicon Valley. I was born here, I grew up here, and now I work here as a product manager at Google. The weather is lovely, the crime rate is low, and the schools are well funded. The adults have cushy jobs and the kids have endless resources. People feast on $15 sushirritos and $6 Blue Bottle coffees. The streets are filled with Teslas and self-driving cars. It’s a place of opportunity. Many new graduates, myself included, are making six-figure salaries straight out of college, plus equity, bonuses, and benefits on top of that. I get unlimited free food at work?—?three full meals a day and as many snacks as I want in between. There’s a place to do laundry and get a haircut. There’s even a bowling alley and a bouldering wall. This is Silicon Valley. Who wouldn’t want to live here? You couldn’t pay me enough to do this job. Returning to her seat, Chloe feels an overpowering urge to sob. Another trainee has gone up to review the next post, but Chloe cannot concentrate. She leaves the room, and begins to cry so hard that she has trouble breathing.No one tries to comfort her. This is the job she was hired to do. And for the 1,000 people like Chloe moderating content for Facebook at the Phoenix site, and for 15,000 content reviewers around the world, today is just another day at the office. I was searching for stuff on my computer tonight when I came across a diary entry I created back on my 28th birthday, 21 Jan 1997. I had started journaling then mainly because I had started having trouble with my memory. It is also why I began this blog, as I’ve said before. This entry is from a time when I was young, single, fit, and supposedly at the top of my game, yet I was deeply concerned about my future. I post it today to remind myself of just how long I’ve been dealing with Gulf War Illness. It has been three decades of pain and frustration but I am still here. Looking at the old clock on the wall I see that I’ve just turned 28 years old. Here I am sitting at my keyboard on my 28th birthday, all alone save for a lazy cat. I didn’t feel like staying at the party because I’m feeling down, so I guess I really didn’t have to be alone. I can’t talk to those guys about what’s bothering me because they couldn’t relate. There are very few people who could. But the party was getting my down because I couldn’t seem to jump-start myself into the conversation, and I became alarmed at this inability to speak. Ocasio-Cortez’s star power has undoubtedly contributed to the exposure her committee exchanges have gotten. 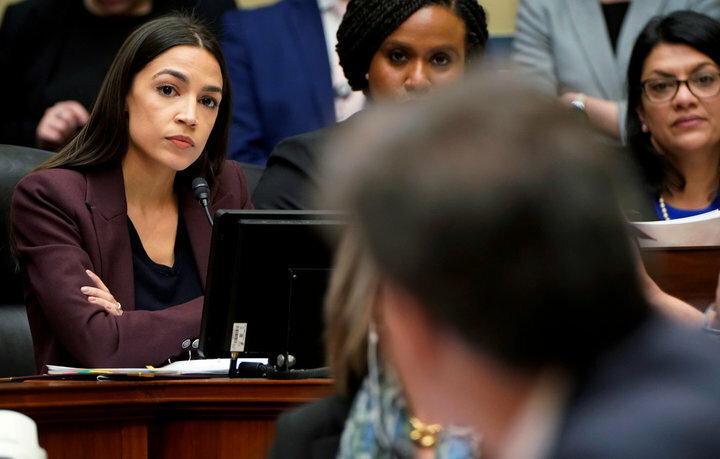 At age 29, she is the youngest woman ever to serve in Congress, and as a democratic socialist who unseated one of the House’s most powerful Democrats, the congresswoman is an object of extraordinary fascination for the media. One advantage Ocasio-Cortez has over some colleagues is that she consistently attends even the most mundane committee hearings, since she does not spend any of her day calling donors for money. Her online presence is strong enough that she has chosen to rely on it exclusively to raise contributions in smaller increments. I’ve long wondered how fulfilling it might be to serve in public office, particularly at the Federal level. The horror stories of “call time” really turn me off on the process – the trade-offs are ugly. But imagine if every member of Congress were freed from the burden of constantly raising money. Imagine how much more effective our representation would be. What AOC does isn’t magic; she just has the kind of following that allows her to bypass the D.C. money game. 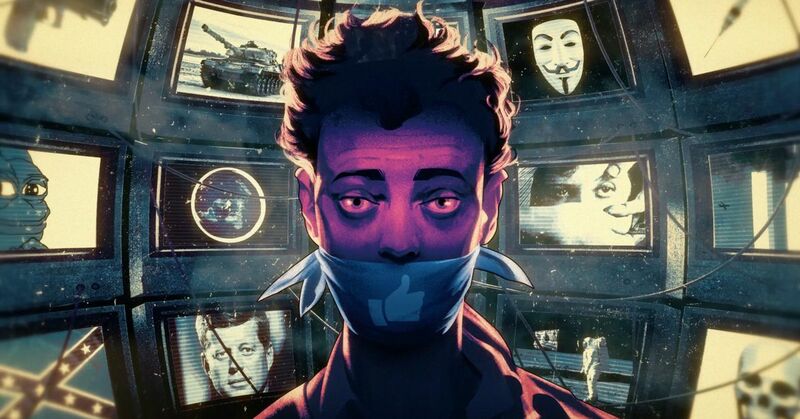 It’s possible that bypassing the big media (and big money) game and going to the people via social media is the answer. Other representatives, willing to put themselves out there, might also achieve this level of independence. Or if we as a people were willing to front the cost through public financing of campaigns – expanding the public funding of presidential campaigns to cover all elections to federal office. Quite possibly ideas like this could save our democracy. I went down the rabbit hole this morning, finding all about the origins of last year’s Camp Fire, the most destructive fire in California’s history. The cause has been traced to faulty equipment on a high-voltage transmission tower. Being a geek, I wanted to learn more about the technical aspects of this part, so I dug up some informative articles. The new information is included in a letter updating the California Public Utilities Commission on a pair of electrical incidents that occurred Nov. 8 about the same time the fire started and began to race toward the town of Paradise. 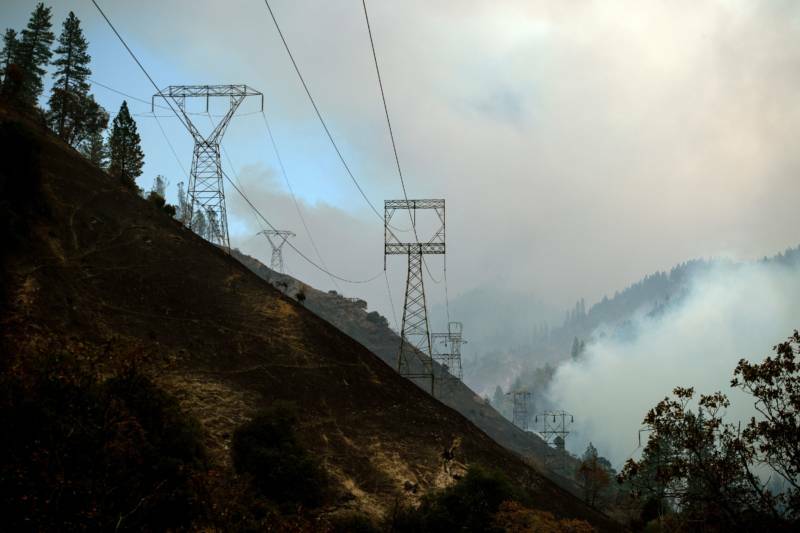 One of the incidents occurred at 6:15 a.m. on a major electrical transmission line suspended on a series of high steel towers on a steep slope above the North Fork of the Feather River. PG&E’s new letter suggests that a large steel hook connecting high-voltage equipment to a tower near the utility’s Poe Dam failed, causing the equipment to arc. Vacant Position – how can I resist? Got this great job opportunity through CareerBuilder today. This is what a scam looks like. Little to no detail on the company or work. Our HR Department has found your resume on CareerBuilder. Our company is an innovative company working in exploration of gas and oil. We are looking for a responsible Assistant Manager to assist a higher-level manager. Your work will be critical in ensuring the team meets its goals of efficiency and customer satisfaction. Interpersonal and mediation skills will be very useful, since you’ll often be acting as a point of contact between manager, employees and customers. The goal is to secure the effective operation of our business and the satisfaction of our clients. A good analysis on which mode of transportation is the greenest. One question we’ve fielded lately with the release of our US airline efficiency ranking is how the fuel efficiency, and therefore carbon intensity, of aircraft compare to other modes of transportation. 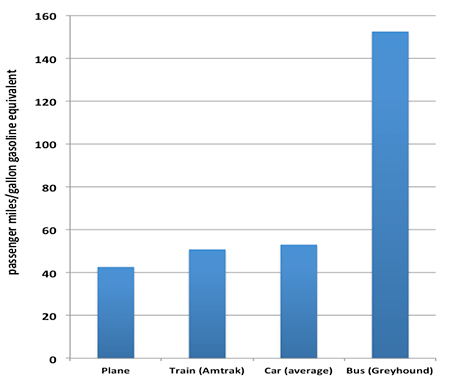 Vehicles meet a variety of transport needs, in terms of what is transported (people vs. goods), distance traveled (short intercity trips vs. transoceanic transport), and speed (12 mph on a bike vs. Mach 0.85 in a long-haul aircraft). Typically, travelers choose between different transport modes based upon a variety of criteria—cost, speed, comfort, even safety—with carbon footprint generally only a secondary consideration. But, for those relative few who would consider planning a trip with carbon dioxide emissions in mind, here are some preliminary thoughts. On November 7, 1992, a really passionate Rage Against the Machine performed an incredible show at Berkeley Square in Berkeley, California. This powerful set included some of their now iconic songs such as “Bombtrack”, “Fistful Of Steel”, “Wake Up”, “Settle For Nothing” , “Killing In The Name”, “Bullet In The Head” and “Freedom”. Commenter Mike4Metal was at this show and shared his excitement about seeing the band that night. I was there that night!! The organization opened up that night, no one knew who rage was at this time, their debut was not out yet!! They surprised us all that night!!! I feel lucky to have witnessed their first Bay Area gig!!! Now they are legendary!!! Earlier that year, the band performed an equally incredible show at Zed Records in Long Beach. 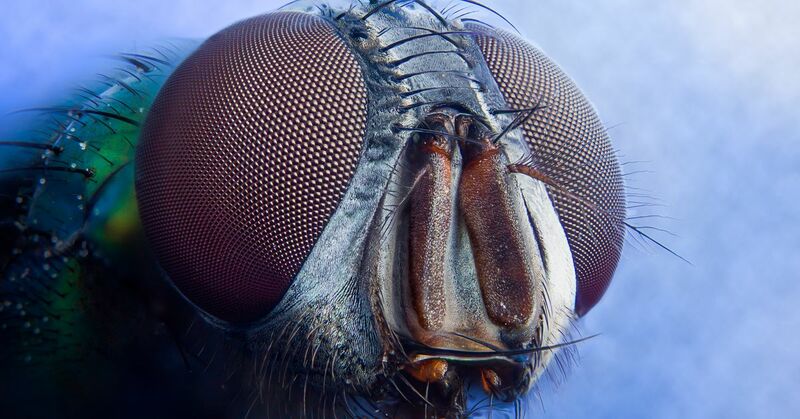 Insects are the most abundant animals on planet Earth. If you were to put them all together into one creepy-crawly mass, they’d outweigh all humanity by a factor of 17. Insects outweigh all the fish in the oceans and all the livestock munching grass on land. Their abundance, variety (there could be as many as 30 million species), and ubiquity mean insects play a foundational role in food webs and ecosystems: from the bees that pollinate the flowers of food crops like almonds to the termites that recycle dead trees in forests. Insects are also superlative for another, disturbing reason: They’re vanishing at a rate faster than mammals, fish, amphibians, and reptiles. “The pace of modern insect extinctions surpasses that of vertebrates by a large margin,” write the authors of an alarming new review in Biological Conservation of the scientific literature on insect populations published in the past 40 years. The state of insect biodiversity, they write, is “dreadful.” And their biomass — the estimated weight of all insects on Earth combined — is dropping by an estimated 2.5 percent every year. In all, the researchers conclude that as much as 40 percent of all insect species may be endangered over the next several decades. (Caveat: Most of the data was obtained from studies conducted in Europe and North America.) And around 41 percent of all insect species on record have seen population declines in the past decade.